125mm bench grinders are useful for small grinding jobs in a workshop and in occasional-use situations. 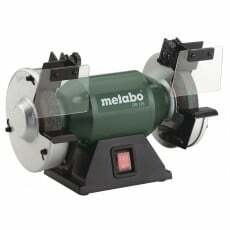 As the name suggests these grinders have an 125mm abrasive wheel size. These smaller disc machines typically output less power and watts than the larger 150mm machines so are less suitable for heavy duty work.